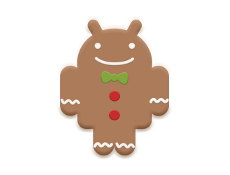 In this meet-up, we will discuss about the new Android 2.3 GingerBread release as well as 2D Game Development on Android. * Adam Nybäck is a self employed Java developer from Sweden. Adam is working mainly for payment service providers with payment gateways, POS-systems and integration with EMV-terminals, cash registers and acquiring systems. Also doing Android development since early 2010 with several apps on the Android Market, mainly games and travel apps. Adam is also active in the Swedish Drupal Open Source community. * Bharathi Subramanian is working as a Principal Consultant in Embinux Division of International SQLStar. He has nearly 11 years of experience in the embedded domain. Currently, he manages the Embedded Linux, Android Porting and Android Training projects. Wow! Looking forward to this one. Hope there is Good amnount of techmeat in this one!